Many of our past Mission teams are located in the affected areas by Florence. Epic Missions is making arrangements to bring Missions Teams and relief volunteers into areas affected by Florence. Inquire with Epic Missions about scheduling a Hurricane relief team. Epic Missions Inc. provides custom-designed Christian mission trips for teams of all ages including youth groups, college students, adults, and families. We also have opportunities to serve for student leaders (Interns) and folks called into Missions to aid us in running the mission in Vero Beach, FL. We are located in South Florida and our teams have served over 140,000 hours of community service in St. Lucie and Indian River counties. We serve a variety of local non-profit organizations including soup kitchens, nursing homes, at-risk youth, migrant families, and much more. 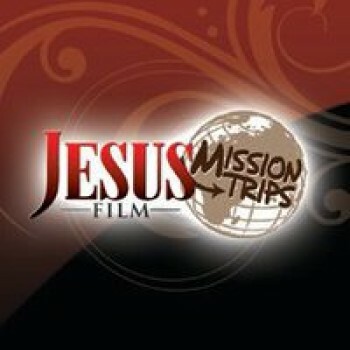 Epic designs each mission trip to uniquely suit the talents, skills, and desires of your team. Our teams are housed on-site at our beautiful 16-acre campus and treated to three home-cooked meals every day. We love our short-term missionaries and have a team return rate of over 82% year after year! Epic Missions was founded in 2011 to serve the homeless “at risk” and youth in the United States. Co-Founders, Paul and Jackie Munsie are former youth Pastors and music ministry leaders who have created a 16 acre Missions base complete with lakes, animals, regulation basketball court, sand volleyball, an outdoor pavilion and full A/C dorm, bathrooms, showers, lanai and dining room for our teams to relax in after a full day of missions service. With a dedication to serving the Lord and providing the best possible experience for mission teams, Epic has become an integral part of the service and faith community in all of South Florida. Epic Missions, Inc is a 501C3 , has an active Board of Directors and chooses to undergo a financial audit each year by a third party CPA in order to ensure financial accountability and transparent Christian leadership. Our mission is to reach those within our community who are needy, homeless, hungry, hopeless, broken or “at risk” by coming alongside each individual, in a personal way, to listen and understand their story that brought them to where they are in life. It was never the life goal for most to find themselves in a state of dependency or despair, but somewhere along the line, a decision, life event, or a series of both, brought them to where we find them today. We seek to share real life answers to becoming whole, to finding spiritual peace, to finding financial peace and to becoming productive members of society. Through our faith in Jesus Christ, we pray He helps us reach those who are able and willing to change and live productive lives. • We believe the Bible to be the inspired, infallible & totally authoritative Word of God. • We believe that there is one true God, eternally existing in 3 co-equal persons – Father, Son, & Holy Ghost. • We believe in the personality of Satan, who is called the devil (Revelation 20:2). • We believe man is totally unable to save himself & in his unsaved state is condemned before God. • We believe in the deity of Christ & His virgin birth, sinless life, substitutionary death, bodily resurrection, ascension, & personal return. • We believe in salvation by grace alone through faith in Christ. Man must be born again by receiving Jesus Christ personally in his heart & confessing Him as Lord (Romans 10:9-10). Good works are a subsequent fruit of salvation. • We believe in the Holy Spirit’s present ministry in & to the believer enabling him to live a godly life & serve God effectively. • We believe in the spiritual unity of believers in our Lord JESUS CHRIST, who comprises the Church which is His Body, & its local manifestation, the local church. Epic Missions hosts mission teams of all ages and sizes to the Indian River County community and plans service trips including soup kitchen, at-risk youth ministry, animal rescue, nursing homes, migrant families, and so much more. We custom design each mission trip to uniquely fit the skills, talents, and interests of your team. We send an Epic Missions Guide with each of your teams each day into the community. Our desire is to send short-term missionaries out into the community to share Christ’s life and love with those who are homeless, hungry, hopeless, and broken. Mission teams are housed on-site at our beautiful 16 acre campus, fed three home-cooked meals each day, and provided the opportunity for evening worship, relaxation, exercise, and devotional time.